Why are too many healthy seniors dying in nursing homes? Vice detective Noelle O'Banyon can't let the mystery go. And though she has no business working a homicide case, the love-shy single mom draws partner Duncan Cavanaugh into her rogue investigation. He's a notorious player she thoroughly disdains—and the feeling's mutual. Duncan considers Noelle too straightlaced for his taste. But as they uncover the shocking scandal behind the mysterious deaths, the crime-fighting pair become closer—and passionately in sync. Now, before a killer stops their bliss, can he and Noelle prevent the next murder in Aurora? 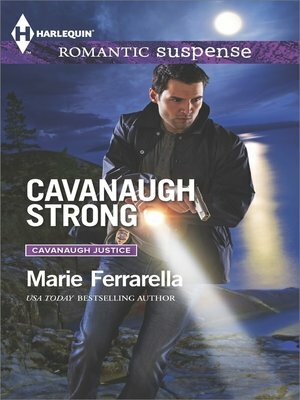 And make sure to pick up CAVANAUGH FORTUNE, the newest installment of Marie Ferrarella's Cavanaugh Justice series, only from Harlequin® Romantic Suspense! Available March 2015!